I’ve mentioned in earlier articles that I bought a Sony eBook Reader in July 2007. The Sony eBook Reader is one of the most popular innovations in recent years, with its ability to offer hundreds of books for you to read, all stored in the convenient shape of a slim line piece of hardware no bigger than a paperback book. It managed to do this by using e-ink technology, from the American company of the same name. But it’s not just Sony who’s benefiting from this technology. From helping with weather forecasts to improving mobile phone display screens, the technology behind e-Ink is fast becoming one of the most sought-after pieces of software today. The best thing about it is that the company doesn’t scream about its baby and how it’s the next big thing on the market. Then again, it doesn’t need to, as the results speak for themselves. 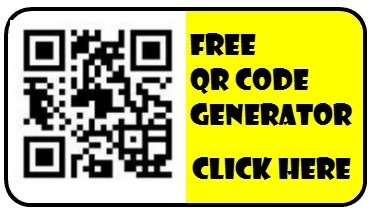 So who else uses e-Ink’s technology? One of the biggest companies in America today when it comes to sharing electronic information such as weather forecasts, energy efficiency and traffic congestion reports, Ambient are using e-Ink in their Weather Wizard. Much like a bedside LCD clock, it displays a 5-day weather forecast in real time. 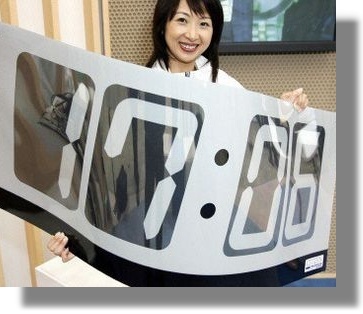 The Japanese company famed for its watches and clocks uses the e-Ink technology in its patented “flexible clocks”, which are the wonderfully stylish curved clocks you see in hardware stores and shopping malls all across the country. The e-Inktechnology allows this shape to come to fruition, without compromising design or performance. 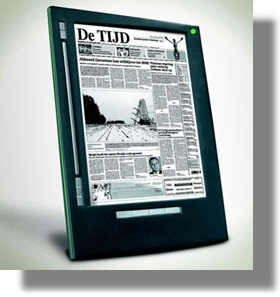 An offshoot of Royal Philips Electronics, the e-Ink software is used by iRex to power an eReader called the Iliad, which is similar to Sony’s Reader. The difference with the iRex product is that you can also write with it, using the supplied stylus, and transfer these documents to a PC or another Iliad. Another Japanese company who use the e-Ink technology is Jinke Electronics. Currently used in their Hanlin eReader V2, this is another electronic reading device that can store books, eBooks and other similar documents and is just as impressive outdoors as it is inside. One of the companies at the forefront of memory and storage devices for computers, American company Lexar has incorporated the e-Ink software into its range of JumpDrive Mercury USB flash drives. By using an e-Ink display screen, you can immediately tell how much memory has been used on your flash drive, making transferring of media files a whole lot easier. Japanese mobile phone giant Motorola is using the enhanced benefits of e-Ink technology in its display screens for its complete MOTOFONE series of handsets, including the RAZR phones. The Japanese watch company has used the technology to enable it to make incredibly stylish watches that are curved in design, with the display embedded into the curve itself. These have been hugely popular with women, and have resulted in large sales of these particular watches.